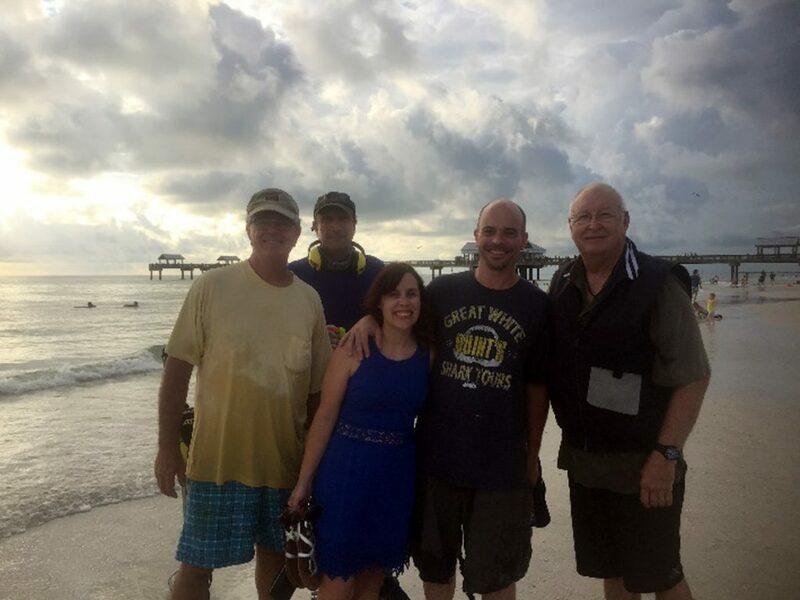 Kara and Joe were visiting Long Boat Key from Oklahoma City. They went out to the beach behind the condo where they were staying with their family. 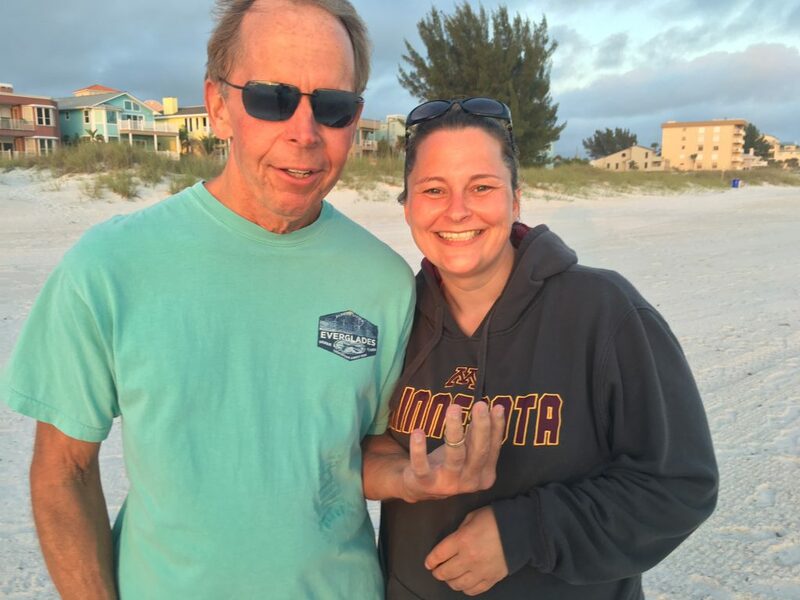 Kara handed her husband Joe her wedding band while she was putting sun screen on her daughter. Joe put the ring on his little finger so as not to lose it. 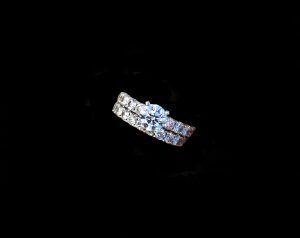 After a while, Kara remembered that she had given her ring to Joe asked for it back. That is when Joe realized that the ring had fallen off. He knew that it couldn’t be far since he had not moved from the area by the umbrella. They got a sand sifter and started sifting but no luck, they could not find the ring. 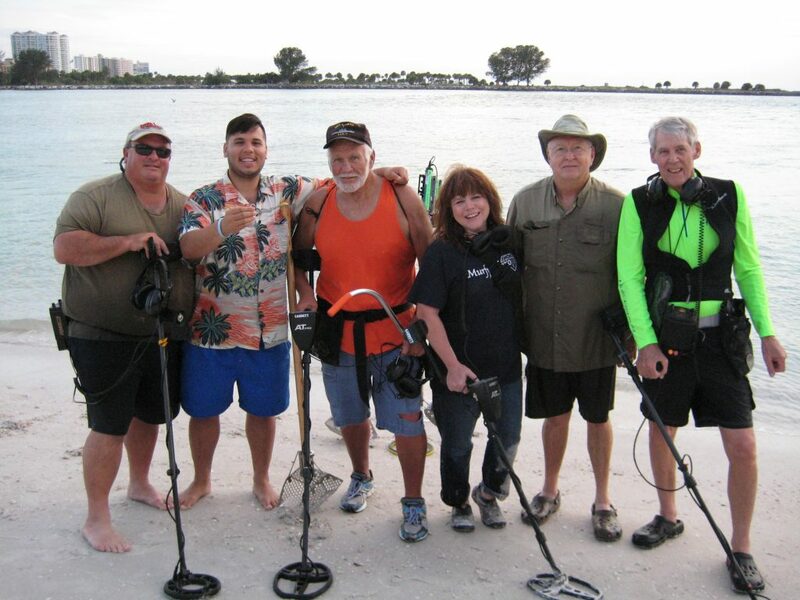 Joe googled metal detector rental and contacted Phil Myers’s Detector Depot in Tampa who referred him to Tom Jones. Joe contacted Tom and asked for his help. They had circled the beach chairs around the area and kept a vigil till Tom could get to the site. Tom arrived and headed out to the beach with Kara. 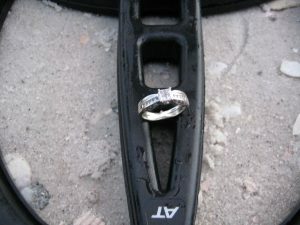 She pointed out the hole in the sand where the umbrella had been and said that the ring had to be somewhere around it. Tom turned on his detector and started hunting around the hole, once he circled the hole he swung the coil over the umbrella hole and got a hit, he yelled out “it’s in the hole”. 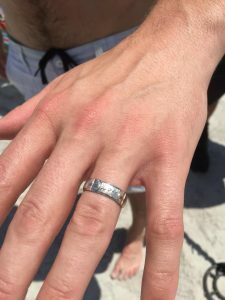 He kicked some sand out of the hole with his foot and Kara’s brother in law who was watching intently said, “there it is” as he reached down and picked up the ring. Needless to say Kara started jumping up and down as she ran to Tom and hugged him. 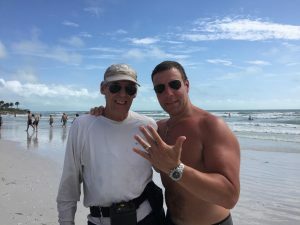 Dan was at the beach on Madeira Beach with his family enjoying the water when he realized that his ring was lose and decided to take it off and put it on a larger finger. When he took it off he fumbled it and it fell into the water and it disappeared in the sand. At this time Dan used good logic and had his father in law stand in the spot so Dan could triangulate some land marks to make it easier to locate the spot. He Googled metal detector rental and found SRARC. 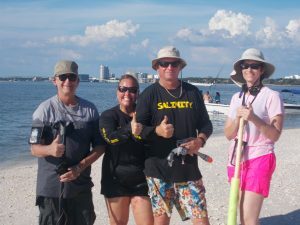 He called Stan Flack who was just finishing a hunt on Sand Key Beech and Stan told him he would be there as soon as possible. Stan was joined by Ed Osmar and the two started hunting. Within 10 minutes Stan found the ring and returned it to a very happy Dan. Anthony and Ryan were down from Pittsburg visiting friends on Pass-A-Grille Beach just in time to experience Tropical Storm Colin. 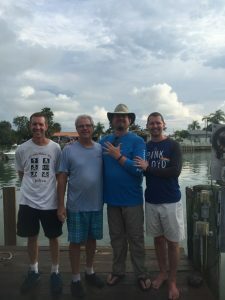 On Monday, June 6, Anthony noticed the Bimini top on the pontoon boat behind the house where they were staying was starting to blow off. 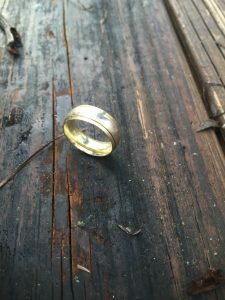 He went out in the wind and rain to remove the top and inadvertently his wedding band fell off his finger and into the water between the dock and the boat. Thinking that it was gone forever he contacted some friends looking for suggestions on how to get his ring back. One of his friends has a friend that is a member of Treasure Net Forum who contacted Stan Flack to try and locate the ring. Stan went out on Thursday and hunted for a short while and decided to try the search when the tide went out later that evening. He contacted Tom Jones to do another hunt at low tide. Friday evening Tom and Joe Szemer went to the site to perform a second hunt. Just like most docks there was a lot of trash on the bottom. After 30 minutes and recovering everything from bolts to electric motor parts Tom moved under the boat motor and got a good target. When his scoop surfaced the ring was laying on the top of the ball of mud. Tom yelled out, “I got it”. Everyone on the dock ran over to watch Tom hand the ring up to Anthony. Thanks again to the Ringfinders Group of SRARC, another couple will be headed back home with a great story and not a sad memory. 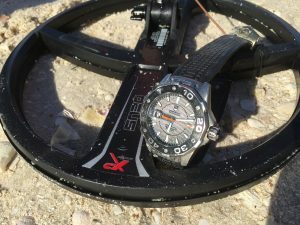 Robert’s Watch was lost as he jumped from the aft of his boat and caught it on the edge. He and a boating buddy had been enjoying the day playing on the island when the boat began drifting away from the shore so he quickly jumped in to push it back in. The watch was a gift from his wife and very important to him. They tried snorkeling for it but after a few days decided to ask for help. They found SRARC on The Ring Finders and contacted Mike Miller. After an unsuccessful hunt Mike told them he would look for a good low tide day and schedule another hunt. 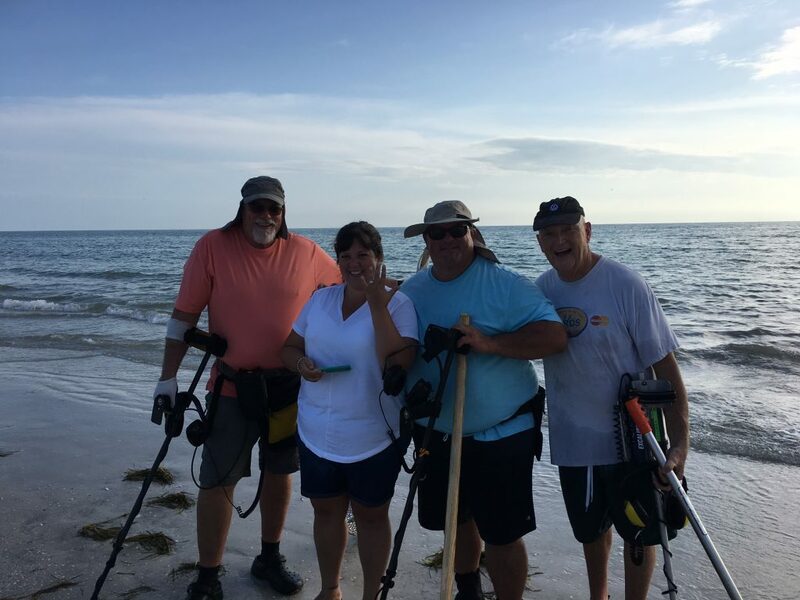 For two weeks Robert and his wife scuba dived the area looking for the watch. 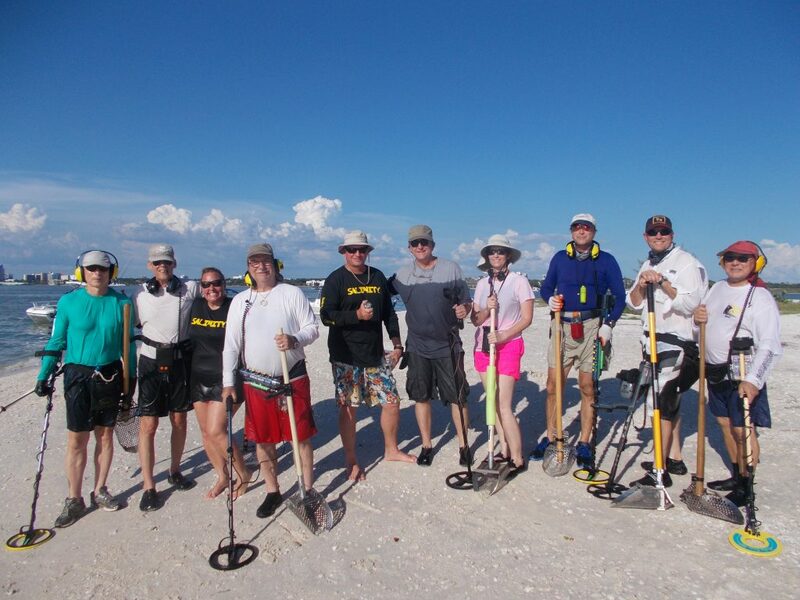 Three weeks later a great low tide appeared and the SRARC team showed up for the hunt. Robert and His wife ferried all 8 of them out to the island. The team, Jerry and Debbie Schneider, Paul Hill, Howard Metts, Dimitur Alipiev, Mark Sillence, Joe Montione, and Mike went to work. About 45 minutes later Jerry and Debbie shouted “we found it”. We all joined in and called Robert over so we could return his watch. As you can see there were lots of smiles. Congratulations Jerry and Debbie on a great recovery. 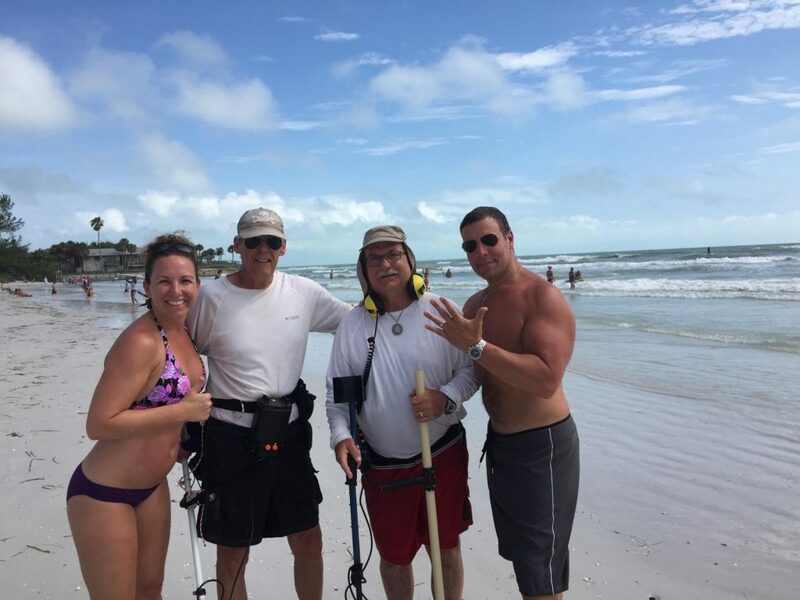 Jim was at the beach enjoying the day with his family. 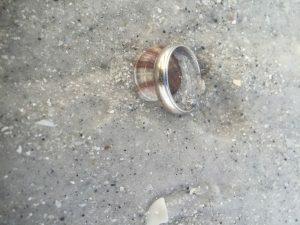 He decided to go for a swim and took his ring off for safe keeping, placing it on the beach bag where they had set up. When he got out someone had moved the bag and the ring was gone. The family tried sifting the sand for an hour or so making 2 large piles of sifted sand and then gave up. 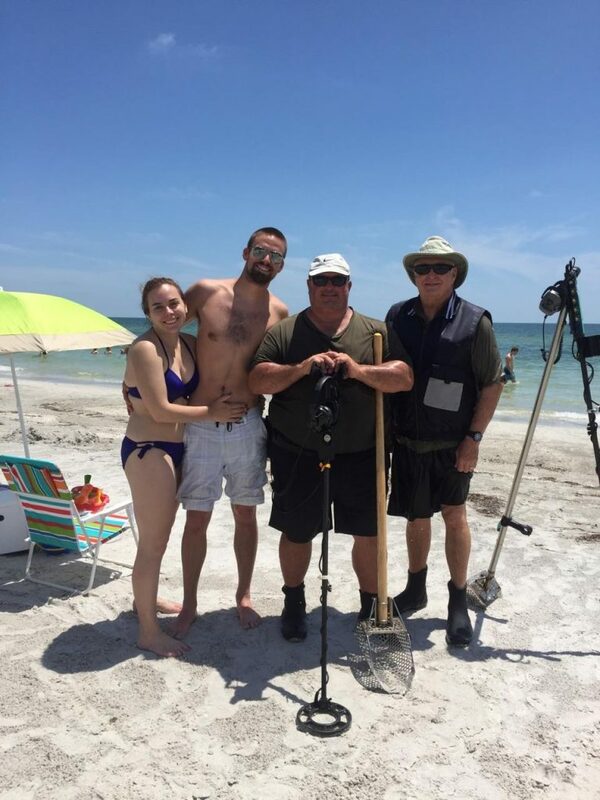 Not wanting to give up, Jim’s daughter Chris googled metal detectors and came across the ring finders page where she found SRARC. Chris called Tom Jones who then passed the information on to team member Stan Flack who was already out hunting in the area. 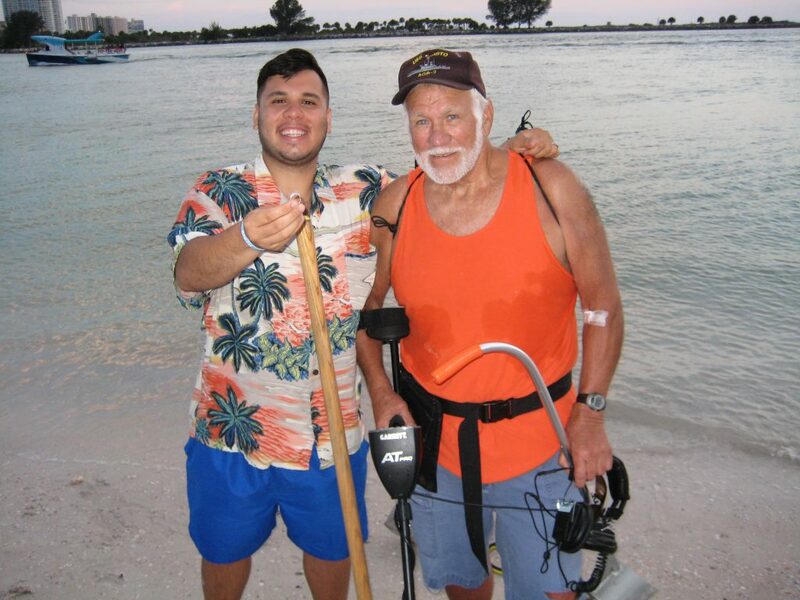 Stan made his way to Chris at the beach and started hunting the area the family had circled, no ring. Then Stan knocked down sift pile #1, no ring. On to sift pile #2, bingo to the delight of one bag moving daughter (shhh). 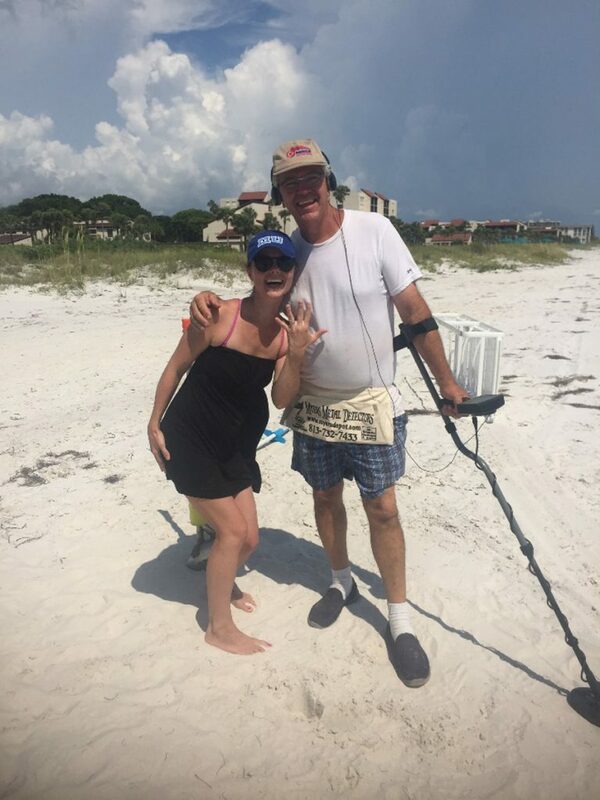 Chris called her dad down to the beach to share the news and smiles all the way around. Michelle and her husband were enjoying a game of catch at the edge of the water last Sunday. Michelle went to catch the ball and it knocked both of her rings off her finger. She had just got the rings 2 months earlier as a gift from her husband for 20 years of marriage. 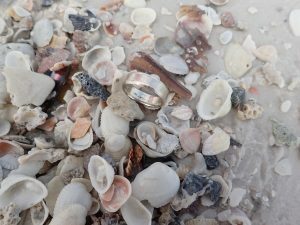 After a few days of fretting over the lost rings and thinking she could never enjoy her favorite beach again knowing her rings were lost there, Michelle googled lost rings and found SRARC on our Ring Finders page and sent an email. 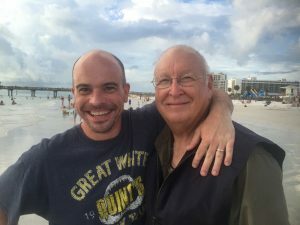 Stan Flack sent an email and began communication, passing off the gathering of detailed information to Mike Miller as Stan was out of town at the time. A hunt date was set for that evening. Stan Flack, Chris Duerden, and Jim Adams all joined in the hunt. The team began to cover the areas Michelle indicated and after a short while Michelle directed the team slightly more south. 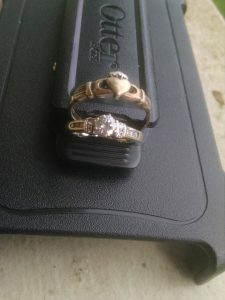 After about 45 minutes of Hunting, Stan Flack scooped up the wedding band. A very excited Michelle came out to get the band while Stan swept near and scooped up the other ring. Smiles and squeals of delight ensued. The return of peoples lost rings never gets old. Nice job team SRARC you just keep the smiles coming. 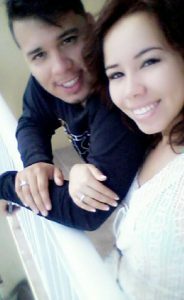 Javan and his wife were spending some time at Clearwater Beach after their wedding that day. They had played in the hotel pool for a while then got out and walked to the sandy beach and sat down on the lounge chairs to warm up. 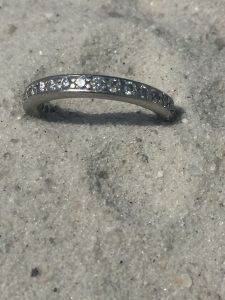 Javan’s new wife had her wedding ring set in her hand and when they decided to get up and go into the gulf she slide them back onto her finger. They walked a few steps into the water and it felt so good they sat down, leaned back and let the water wash over them. Later they went deeper into the gulf and just enjoyed each other and the warm water. Later as they emerged from the water they noticed the wedding set was missing. They looked everywhere but it was not to be found. The next day Javan found SRARC through The Ring Finders site and we organized a hunt for that evening. Stan Flack, Bill Gallant, Ed Osmar, Celeste Roles, and Mike Miller showed up and met Javan at 6:30 pm. Javan explained what had happened and where they had been and we went to work searching the water and the sand. After a couple hours we all were losing hope when Bill Gallant walks over to Javan and asks Javan to look into his scoop and there it was. Javan jumped for joy and we all joined in. We didn’t get to see the look on Javan’s wife’s face when he put the ring on her finger for the second time in two days but I bet she was all smiles. We wish these two the best for their future and are happy we could help them. 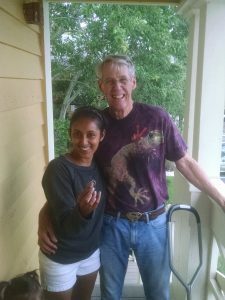 Bill you did a great service for this couple and we congratulate you on your success in finding the ring.